Summary: (from the inside flap): In 1984, Marjane flees fundamentalism and the war with Iraq to attend ahigh school in Vienna, where she faces the trials of adolescence far from her friends and family. While she soon carves out a place for herslef among a group of her fellow outsiders, she continues to miss her her home desperately. After graduation, Marjane returns to Iran. Her difficult homecoming forces her to confront the changes she and her country have undergone in her absence, and her shame at what she perceives as her failure in Austria. LIfe begins to look brighter once Marjane finds a group of like-minded friends, falls in love, and begins studying art at a university--until the repression and state-sanctioned chauvinism lead ehr to question whether she can have a future in Iran. 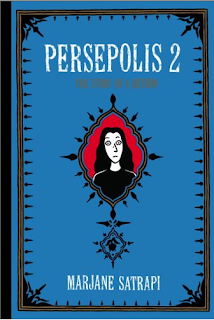 Review: This second installment of the Persepolis series (I assume there will be more) is more about Marjane Satrapi and less about Iran and its fundamentalism. We hear about Satrapi's experiences in Vienna, Austria from 1984 to 1988, which for me is interesting because while she was attending high school there, I was there as well. I lived in Vienna in 1986 as a junior in college. It was quite a crazy year: the US bombed Tripoli, making life for Americans difficult; Kurt Waldheim, an ex-Nazi, became President (an event Satrapi discusses); and Chernobyl Nuclear Power Plant melted down. It's strange to think she and I may have passed on the streets. Satrapi expands her definition of fundamentalism in this second installment of Persepolis. She encounters extremist anarchists, communists, drug users, and more. She experiments with new social activities, none of which seem to suit her. Throughout the story she needs emotional and intellectual support, neither of which she receives in Vienna. Her housing situations are unacceptable, her eating habits unhealthy, and I wanted her to return home to Iran so that she could be happier. However, returning home isn't always the fix-all that we want it to be even though she has a wonderful support system in her parents. I liked this graphic novel, but it was definitely more of her life rather than historical Iran-life, which was what I expected. I am also including this book for the Women Unbound challenge because Satrapi was definitely unbound in this installment of her story. She is a teenager, sent to live alone in Vienna, Austria where she deals with personal, academic, emotional, and physical challenges without an adequate near-by support system. Through all of this she discovers important things about herself: it's ok to be single, her parents/family are important; and she loves her home culture country of Iran despite its failings. I loved this book when I read it! Good review! Yes, it is interesting to think that you may have passed her on the streets of Vienna. I have a friend living there now, pastoring an English-speaking church in Vienna. 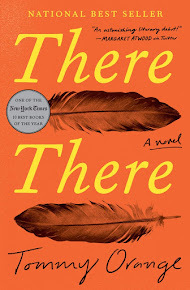 I also read this book, but I read it for the Women Unbound reading challenge. Add it to that list, and you'll have covered FOUR challenges with one book! Thanks for visiting my blog (again). Softdrink, My time in Vienna (and Bonn, Germany) was really wonderful, being immersed in a culture and a language! Bonnie, I'll have to add the Women Unbound Challenge to the post, great idea!